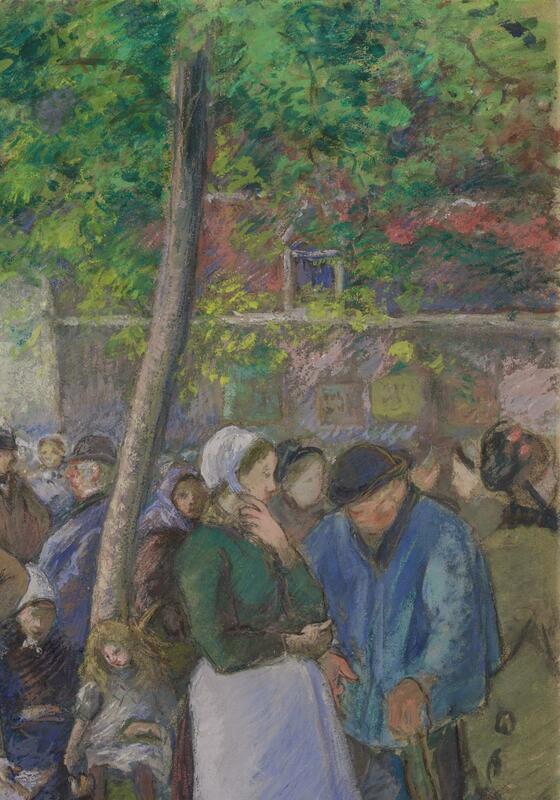 Monet lent it to the "Exposition de l'Oeuvre de Camille Pissarro" (Galeries Durand-Ruel, Paris, April 7-30, 1904), cat. no. 157, described as "Marché de Gisors," distemper. 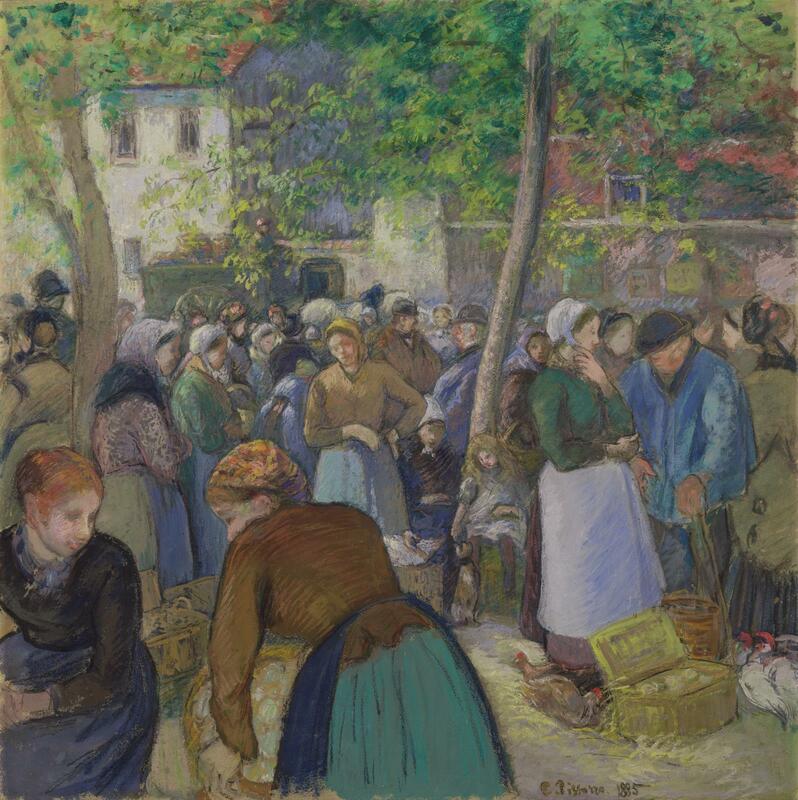 He lent it to the "Centenaire de la Naissance de Camille Pissarro" (Musée de l'Orangerie, Paris, February-March, 1930), cat. no. 36. John Taylor Spaulding purchased the painting from Wildenstein in April 1938. 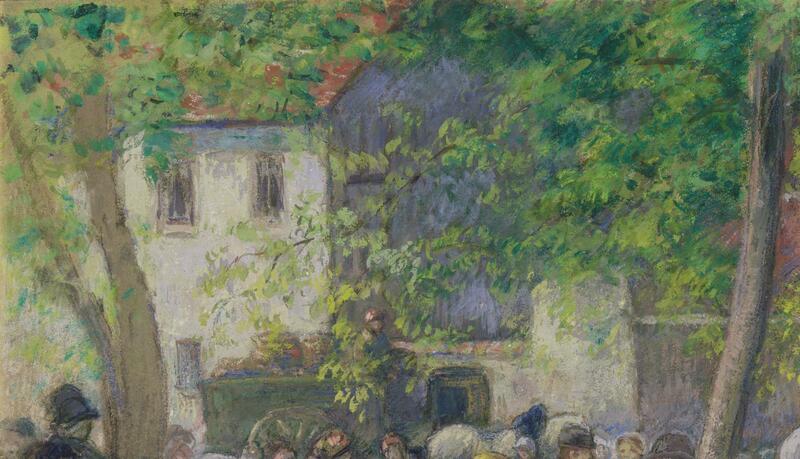 In a letter to Charles C. Cunningham of the MFA shortly thereafter, Spaulding wrote that "Wildenstein has only had it two weeks or so, and bought it directly from the family of Claude Monet who got it from Pissarro."